Christina M. Baine DeJardin attended the University of California, San Diego, where she received her undergraduate degree in English Literature. After working for several years as an editor, Christina attended law school at the University of San Diego where her strong research and writing skills led to receipt of Excellence for the Future Awards in Professional Responsibility and International Environmental Law. 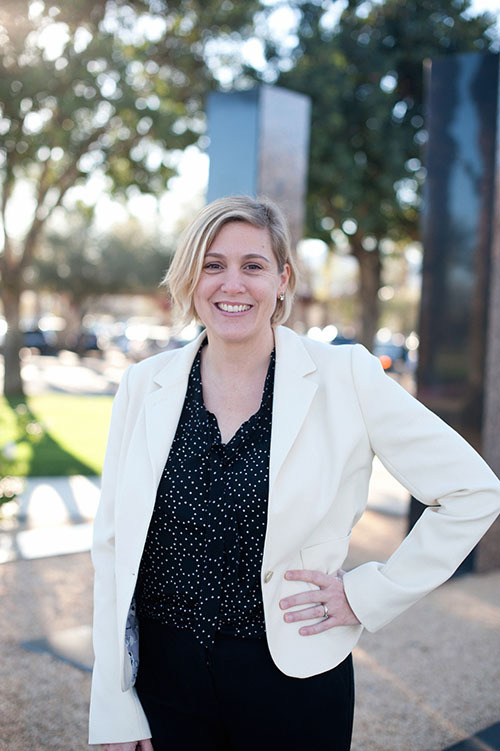 Christina has been working in the area of homeowners association law since 2003. Christina leads the Firm’s Coachella Valley office and believes that personal attention is critical to the attorney/client relationship. An active member with the Community Associations Institute (CAI), Christina served on the Board of Directors for the Coachella Valley Chapter for over seven years. Christina sat on the Executive Committee for several years while on the CAI CV Board and led the Chapter as Board President. She expertly guided the Chapter in its search for a new executive director and was the leading force in making legislative support through the California Legislative Action Committee (CLAC) a priority for the Chapter. Her hard work and volunteerism for CAI-CLAC earned her the prestigious title of CLAC Volunteer of the Year Award in 2014, as determined by members from the eight CAI chapters in California. Christina continues to serve on the Programs Committee and the California Legislative Action Committee for CAI Coachella Valley. Christina is also a CLAC delegate for CAI CV. Making education a priority, Christina has taught many courses for both CAI and the California Association of Community Managers (CACM), and has presented at numerous management company and common interest development industry events and conferences. She has been published in many homeowners association publications and law journals.